Four-star safety prospect Jordan Morant released his Top 10 on Wednesday and Ohio State made the cut. Joining the Buckeyes were USC, Texas A&M, Penn State, Michigan, Clemson, Miami, Alabama, Notre Dame, and LSU. He tweeted out the news. Morant (6-1 195) is 247Sports’ No. 1 safety in the 2020 class and the No. 43 player overall. In the Composite, he is the No. 8 safety and the No. 113 player in the nation. Morant attends Bergen Catholic High School in Oradell, New Jersey, which is the same high school that OSU redshirt freshman defensive end Javontae Jean-Baptiste attended. Morant is reportedly making a Midwest swing this coming weekend and visiting both Michigan and Ohio State. As a junior last season, Morant put up 36 tackles, 3.5 tackles for loss, and three pass break ups. Morant is a physical defender who plays cornerback and safety for Bergen Catholic, and also lines up at times as an edge rusher in blitz packages. In fact, in looking at his highlights, he could project as a safety or Bullet at Ohio State. He is asked to do a lot on defense right now and appears to handle it well. Right now, it looks like the Buckeyes are on the outside looking in, but the visit this weekend could change that. Here’s where things stand with just six predictions cast. Ohio State is waiting for their first defensive commitment in the 2020 class, but that could be coming next week when IMG defensive back Lejond Cavazos announces his commitment. 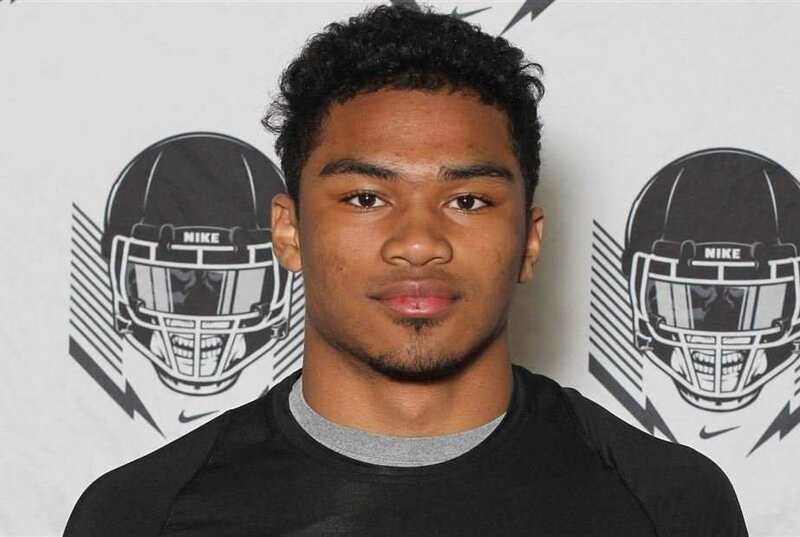 There are several other safety prospects on OSU’s radar as well, including Arizona 4-star standout Lathan Ransom, 4-star Texas prospect RJ Mickens, and 4-star Georgia safety Brian Branch, to name a few. With Ohio State’s move to a hybrid safety/linebacker now, as well as the lack of cornerbacks signed in 2019, expect a big class of defensive backs in 2020. Well, OSU’s problem that year was Roby was “injured” and didn’t play. 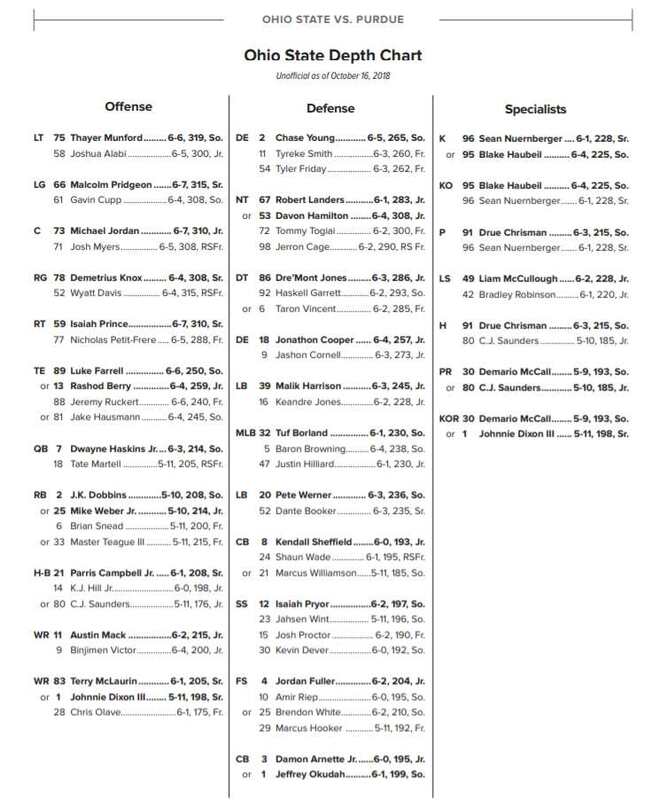 It’s quite odd to me that OSU “move(d) to a hybrid safety/linebacker now.” It wasn’t all that many years ago that we had this same glaring problem, which came to a head when Clemson’s all-everything receiver, Sammy Watkins, tore our defense to shreds in the postseason. All of a sudden, we had a “walkout LB” position. This newfangled title is a different name for the same position, and addressing the same problem. What in tarnation ever made us (apparently) abandon the concept of a walkout LB, anyway??? As a prof who teaches history, there is nothing more frustrating than seeing the same problem repeat over the course of history. For crying out loud, OSU coaches! Douglas you made the case why it’s the right call to go back to that defense. So, why do you think its “odd”?